How to override the position related to orbit camera idea position. here is the interface to implement your code. following will provide you the base class to help you implement easier. // for debug purpose, not allow to change. 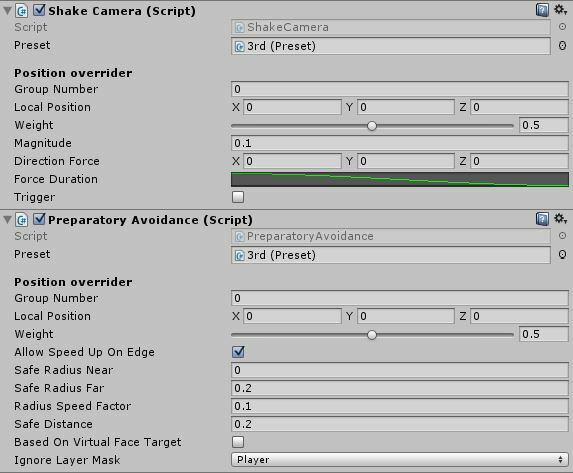 And here is the sample code to achieve the basic backward obstacle avoidance, the one used in demo video. by following the interface to implement your code, we are able to override the orbit camera position to anywhere, problem is how to achieve your ideas.